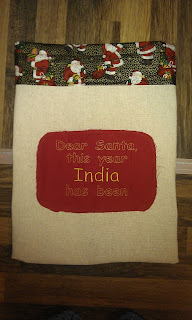 I have spent the day making Christmas sacks, and found I had forgotten how I made them last year. 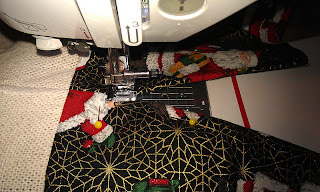 I seem to remember having the same problem 12 months ago, so this time I am recording the method, so that hopefully next year I'll be able to get started without having to think it through! 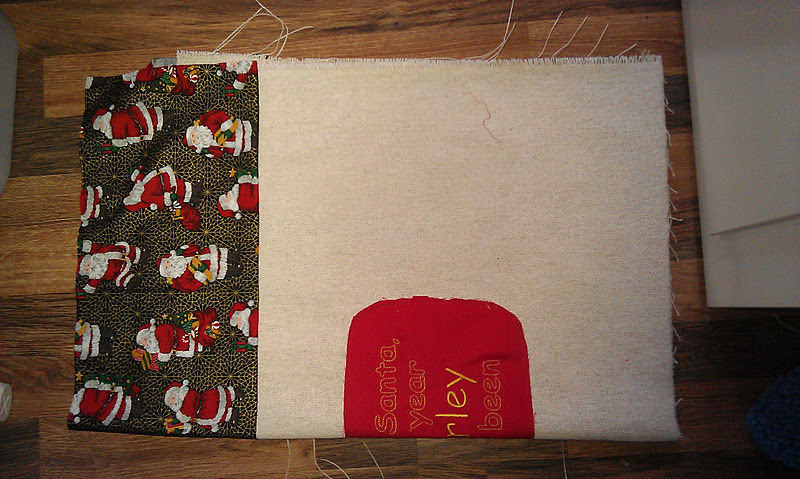 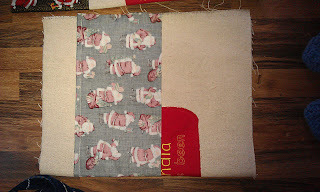 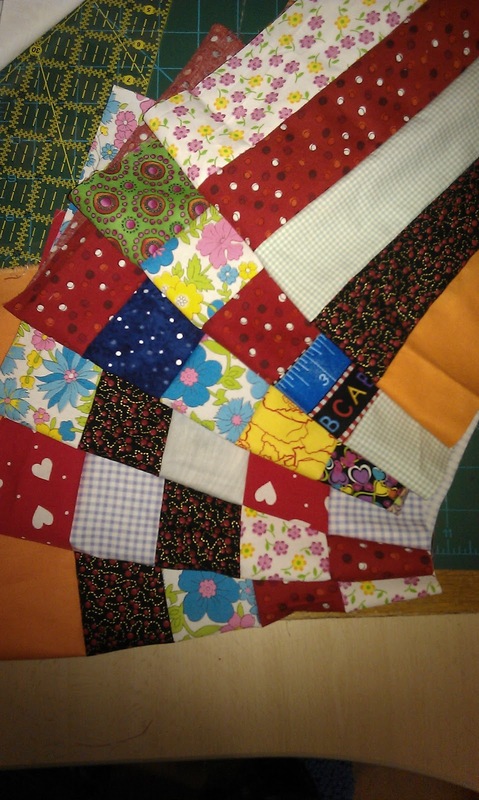 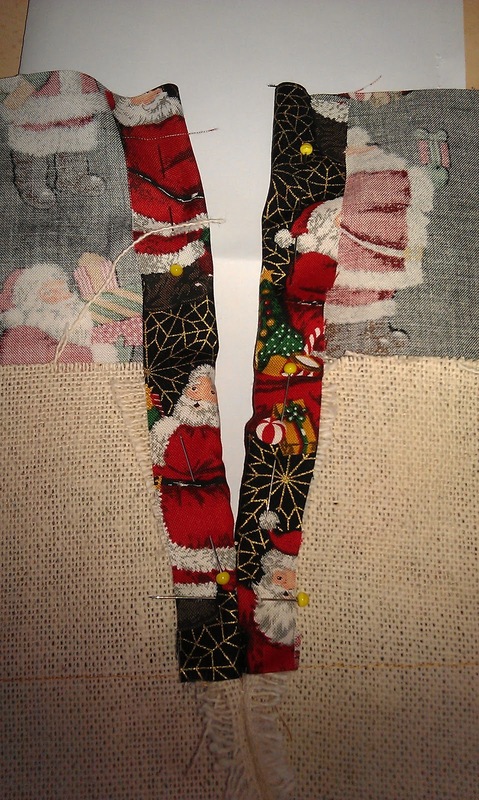 I cut the sack fabric to be able to make a sack appx 14" by 19", and I cut Christmassy fabric 14" by 7"
Finally I am going to make a small two sided patch that says 'good' on one side, and 'naughty' on the other, so it can be left as a message for Santa on Christmas Eve! 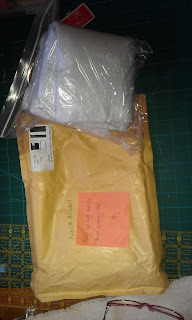 I have obviously been good, as I received a package from Katy. 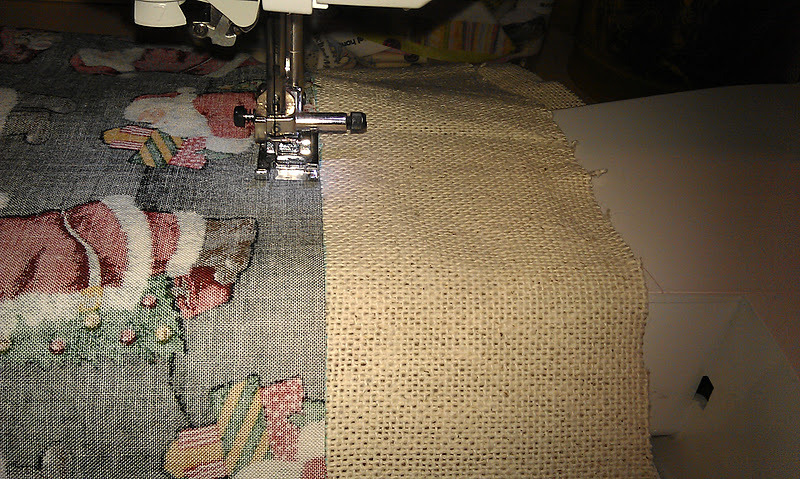 It doesn't look very exciting, but it is insubrite (I may have spelt it wrong) which is insulating heat resistant fabric that can be used for making oven gloves or table mats. Thank you thank you thank you Katy! 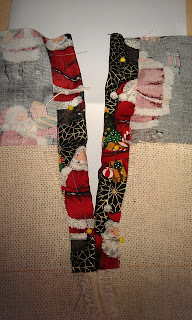 I read that as Christmas 'SOCKS" and really thought you had lost the plot - but it's all me! 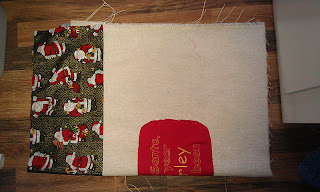 Super cute Christmas sack and can't wait to see the 36 patch! Great Christmas sack and very clever having a 'good' and 'naughty' label!